Equipped with a special propriety sudden explosive pulse air hammer and air whip. 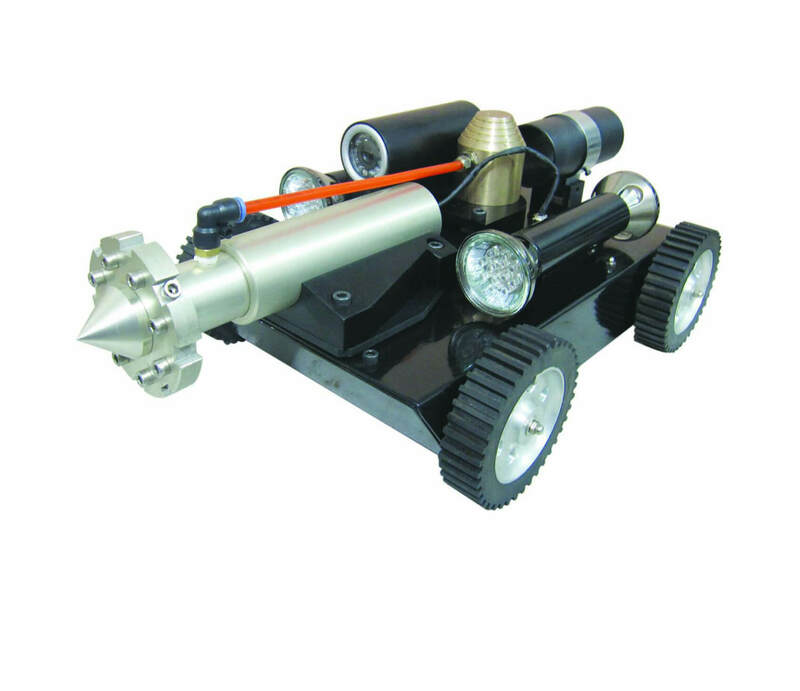 This robot can loosen accumulated dust in air duct in an instant enabling this dust to be collected by Dust Absorption Robot (by way of direct dust absorption method) or to be extracted by a high power vacuum placed at the other end of the air duct (by way of raised dust absorption). Cleaning Method: Rotating pulse hammer or rotating air whip.